Pacific Health Benefits provides discount benefits on Prescription Drugs, Dental, Vision, Hearing, Vitamins, and Diabetic Care and Supplies plus more. 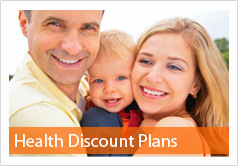 View our Health Plans for expected savings! Have a questions on how your card works or how to enroll in Mail Order Pharmacy? 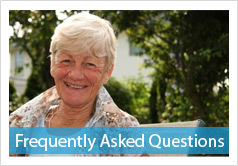 Find out those answers and more in the Frequently Asked Questions area of this website. Want to know what pharmacies are in our network and what prices are offered? 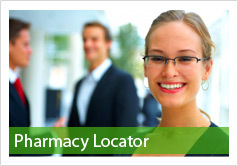 Visit the Pharmacy Locator. © 2013 Pacific Health Benefits All rights reserved. This plan is NOT insurance. This plan provides discounts at certain healthcare providers for medical services. This plan does not make payments directly to the providers of medical services. The plan member is obligated to pay for all healthcare services but will receive a discount from those healthcare providers who have contracted with the discount plan organization. This plan is not available in the following states: AK, CT, FL, MT, OR, RI, VT, and WA, while the program is not available for sale in these states participating providers may be used. This is not a Medicare Part D Prescription Drug Program. The name and address of the licensed discount medical plan organization: Access One Consumer Health, Inc., 84 Villa Road, Greenville, SC 29615; 800-896-1962; www.accessonedmpo.com. Pacific Health Benefits: 230 S Clark Street; Suite 122, Chicago, IL 60604. Telephone number of Pacific Health Benefits: 866-481-2390. Internet website address to obtain participating providers, PacificHealthBenefits.com.State Specific Notifications: ILLINOIS RESIDENTS: If you have a complaint you may contact the Illinois Department of Insurance. MARYLAND RESIDENTS: Discounts for hospital services, if any, are not applicable in Maryland. MASSACHUSETTS RESIDENTS: This plan is not insurance coverage and does not meet the minimum credible coverage requirements under M.G.L. c. 111M & 956 CMR 5.00; the range of discounts for specified medical, pharmacy or ancillary services provided under the plan will vary depending upon the type of provider and the type of services received; this plan does not make any payments to providers for services received. NEBRASKA RESIDENTS: If you have cancelled at any time after the 30 day period, and you have pre-paid any membership fees, the prepayment will be refunded on a pro-rata basis for months you have not used. NEW YORK RESIDENTS: Nurseline is not available in New York. TEXAS RESIDENTS: AccessOne (Group/Private Label) will cease collecting membership fees in a reasonable amount of time, but no later than (30) days after receiving a valid cancellation notice. "Note to Texas Consumers: Regulated by the Texas Department of Insurance, P.O. Box 12157 Austin Texas 78711: telephone 1-800-252-3439 or (512) 463-6515; website: www.tdi.state.texas.com; UTAH RESIDENTS: These programs are not covered by the Utah Health Insurance Guarantee Act. WEST VIRGINIA RESIDENTS: If after receiving our response and you are not satisfied with the resolution you may write of call: West Virginia Insurance Commissioner.PHARMACY SPECIFIC DISCLAIMER: By using this card, you agree to pay the entire prescription cost less any applicable discount. Savings may vary by drug and by pharmacy. Savings are based on actual drug purchases using the discount card. The program administrator may obtain fees or rebates from manufacturers and/or pharmacies based on your prescription drug purchases. These fees or rebates may be retained by the program administrator or shared with you and/or your pharmacy. Prescription claims through this program will not be eligible for reimbursement through Medicaid, Medicare or any other government program. This program does not guarantee the quality of the services or products offered by individual providers.